If you are trying to find some e-juice that will satisfy your sweet tooth, be sure to try Vanilla Custard by Superb. 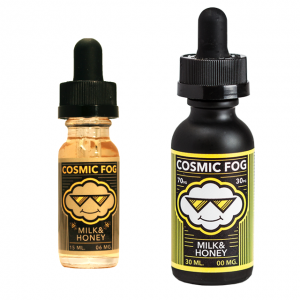 Smooth and rich vanilla custard flavor will fill your mouth the moment you make a puff. It has just the right amount of sweetness to ensure you a pleasurable vaping experience during the whole day. While inhaling or exhaling, you feel as if you were eating a true vanilla custard dessert. Superb Vanilla Custard e-juice makes it possible to enjoy such taste with no calories consumed. Three nicotine levels are provided to offer an opportunity for choice 0mg, 3mg or 6mg. Thanks to a 70/30 VG/PG base, Vanilla Custard e-liquid can bring a great cloud-chasing experience. You will be able to exhale huge clouds. As for the packaging, this e-juice is sold in a 60ml chubby gorilla bottle designed in dark blue color. It looks minimalistic and very elegant. Superb Vanilla Custard e-juice is a must-try if you like sweet creamy flavors! Hurry up to get it!